Marqua J, Fischer C (2010): Die Pilzflora des Ehinger Raumes. Over 7000 fotographs of basidiomycetes, ascomycetes, slime-moulds and phytoparasits (microscopical fotographs & drawings). 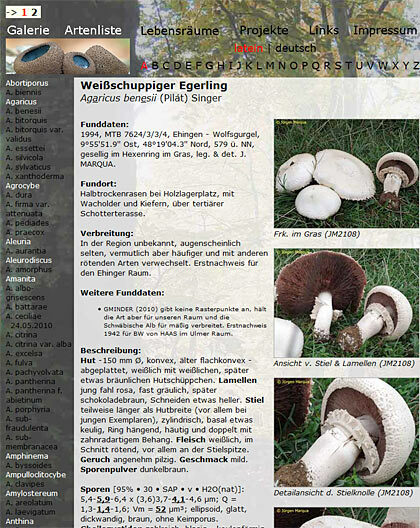 www.pilzflora-ehingen.de / DVD ²nd Edition.